Summary. One of the factors that contributes to the development of economy of any country is the improvement of business environment, and economic policy tools and drivers used in different countries had their role in tax system. Their compatibility evidences about development of a favorable business environment. The issue of development of the RA tax system is up-to-date and crucial, and the study of factors affecting it enables to identify the existing shortcomings and gaps that influence the development of business environment and economic. Although numerous studies have been conducted in this field, they however have not reflected in full the prospects of development of tax system as a tool for improvement of business environment. Therefore, this article is aimed to substantiate in a systemized manner the factors affecting the development of tax system and to identify those that had impact on business environment. Key words: Tax system, tax policy, business environment, economic infrastructure, living standards of population. The study of tax system is impartial and necessary to determine the impact the business environment can have on tax system. Therefore, approaches and papers of different authors, among which are Melnikov V.D. (2001), Bagaudinovna T.M., Dedusheva L.A. (2015), , Sloman John (2007) , Dollar D., Hallwart-Driemier M., Mengistae T (2003) , Li Jie (2013), Kim, Dong Heon, (2012), , Mele´, D. (2009) , Michailova, S., & Worm, V. (2003) , Minnick, K., & Noga, T. (2010) , Faey L., Rendell R. (2004) , De la Torre, J., Neckar D., (1981)  and others, have been introduced, where it has not been presented in a systemized manner what a significant impact do the tax system has on business environment. The RA tax system has undergone the period of formation and development of over than two decades, and although during that period individual legislative changes permanently solved the issues related to improvement of tax system, enhancement of competitiveness, improvement of business environment of national economy and ensuring necessary tax revenue for the state budget, current development trends of the world economy, new challenges, regional developments and integration processes running within the framework of regional economic unions have caused an objective need for regulating tax relations in a new way. Literary overview. The assessment of impact on business environment of tax system is one of the priorities of the economic policy of any country. Moreover, all the measures undertaken therein relate to optimal allocation of state expenditures on ensuring tax revenue in the state budget . 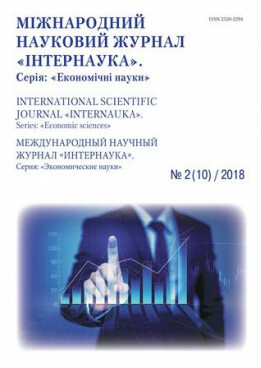 In the opinion of Bagaudinovna T.M., Dedusheva L.A. (2015)  business environment is identified with terms business, innovative business, entrepreneurship, which is also linked to tax system. Sloman John (2007)  has reviewed business environment in flatness perspective and has specifically highlighted that tax coordination itself has significant role in the development of business environment. In the opinion of Dollar D., Hallwart-Driemier M., Mengistae (2003)  business environment represents institutional, political and economic conditions under which commercial organizations operate, and out of institutional grounds the development of tax system primarily leads to the improvement of business environment. According to the study conducted by Inter-American Development Bank, business environment represents a combination of factors, where the state ensures conditions necessary for business development using its tax, economic, administrative instruments . From the viewpoint of the World Bank business environment is a combination of factors that characterizes motivation of commercial organizations of a given country for doing business as a result of effective investment policy, creation of new job positions, integration into global competitive markets. They function more effectively if efficiency of tax system is growing . Li Jie, (2013)  has studied how effectively tax policy affects the business activities, if individual directions of economic policy counteract the latter. According to the approach proposed by Zhu, Xiaodong, (1992) , 57 episodes of development of business environment have been distinguished. Other authors Kim, Dong Heon, (2012) , having reviewed 57 episodes, have concluded that their duration depends on the exact role the tax policy and tax system play in business environment, in case the influence of external factors and dependence of the internal economy of the given country on the external factors is significant. Zhu, Xiaodong, (1992)  has concluded that the role of tax system in the development of economy and growth of business activity is quite tangible by using different stochastic models and methods, through which he has demonstrated that the level of tax burden contributes to business development. Chari V.V., Lawrence J. Christiano, Patrick J. Kehoe (Aug., 1994)  having reviewed the interrelation of tax policy and business, have substantiated the fact that tax policy leads to growth of business efficiency. The authors Stephanie Schmitt-Grohé, Martín Uribe White, H. A. (1980)  having reviewed the presumption of interval dynamic model of general equilibrium, based on economic patterns specific to tax system have justified the fact that not only government spendings, transfers, consumption expenditures, workforce and capital affect the economy development, but also tax system plays quite essential role in its development. In the papers of Hansen Lars Peter, Thomas Sargent and Thomas Tallarini, (1999)  the positive impact of business environment and tax policy is reflected, meaning that an increase of wealth of one group typically reduces the wealth of another group. Shortcomings and gaps in the tax system lead to disproportionate allocation of tax burden, and as a result of its increase the moderate average growth of wealth of population is opposed to the loss of wealth of population due to non-optimal implementation of policy . The paper of Anastasios G. Karantounias (2013)  “Managing pessimistic expectations and fiscal policy” has studied optimal tax policy according to which the government faces a fearful public that forms pessimistic expectations, when planned government spendings are being reduced or in case of state budget sequestration. The authors have identified two forces that have shape final results. On the one hand, the government had an incentive to concentrate tax distortions on events that it considers unlikely relative to the pessimistic public. On the other hand, the public's expectations gave rise to a novel motive for expectation management that had modified government debt strategy and contributed to equilibrium prices. In “The Keynesians and Government Policy” of Sweezy, A. (1972)  the priority is again given to the role of tax system in the development of economy, with respect to application of state regulation instruments. The authors Alm, J. &Torgler, B. (2011)  are of opinion that development of tax system is conditioned by the behavior of taxpayers. Bergman, M. (2002)  believes that in case of disruption of tax policy, the question arises as to who pays for social policy, which means that capabilities of the state for implementation of social policy are gradually reducing. Baele, Lieven, Soriano, Pilar (2010)  are of opinion that the ranking of business environment of the given country can show how tax system can contribute to or, vice versa, restrain business activity and economic development. Feld L.P. & Frey, B.S. (2002)  also justify the relationship between tax system and business environment by the behavior of taxpayers. Mele´, D. (2009)  believes that improvement of tax system influences entrepreneurial activities by shaping business culture. Michailova, S., & Worm, V. (2003)  sees at the very core of it the network economy and e-government system, which means elimination of corruption risks in communication between the taxpayer and the tax authorities. Minnick, K., & Noga, T. (2010)  in the contrary believes that the state must have an active interference in tax system, because the growth of efficiency of the so-called “tax management" promotes the business activity. Main outcomes of the article. One of the factors that contributes to the development of economy of any country is the improvement of business environment and growth of the efficiency of tax system. It is appropriate not only for the domestic economy and residents but also for non-residents and global economy. Different countries use different tools and drivers of economic policy. Their compatibility evidences about development of a favorable business environment. In 2015, the first row of ranking scale of "Doing Business" report was occupied by Singapore. In the top ten are included Hong Kong, New Zealand, the United States of America, Denmark, South Korea, Norway, Great Britain, Finland and Australia. The objective of the strategic development plan of EAEU member-states has appeared in the list of top 50 countries in the ranking scale (see Table 1). In 2015, Armenia by its ease of doing business was ranked the 45the among 189 countries, having improved its position by 4 places compared to the last year. Belarus, having retained its position, took the 57th place. Russia occupied the 62nd place, having improved its position compared to the last year. Kazakhstan lost one place and dropped to the 77th place in the ranking scale of "Doing Business" of 2015. Kirgizstan was ranked the 102nd. In “Doing Business” report, change in ranking position records the progress made by the given country with respect to the reforms during the past year and the extent of improvement of its business environment (see Table 2). Armenia recorded progress with respect to 5 indicators, went backwards in terms of 3 indicators and retained positions in 2 indicators unchanged. Armenia improved its position by 32 places at once by "Paying taxes" indicator, thus occupying the 41st place. Progress with respect to “Trading across borders” indicator made 14 places, standing in the 110th place. Armenia gained 1 place with respect to “Starting a business” indicator and occupied the 4th place. Up to 2010, instead of “Getting electricity” indicator, the indicator characterizing involvement of employees was calculated. Currently many laws, legislative acts are effective that protect the interests of hired employees. Starting from 2010 “Getting electricity” indicator is being calculated. Armenia again recorded 1 place progress with respect to “Dealing with construction permits” and “Getting electricity” indicators and occupied the 81st and 131st places respectively. At the same time, Armenia downgraded by 6 places with respect to “Getting credit” indicator and was ranked the 36th. Restriction of getting credit can create serious problems for future development of enterprises. Regression with respect to "Protecting investors" indicators was recorded by 1 place thus standing in the 49th place. Improvement of activity in this area is of priority. Armenia lost 2 places with respect to “Resolving insolvency” indicator and was ranked the 69th. Business is impossible without enforcement of contracts. The country's position with respect to “Registering property” and “Enforcing contracts” indicators remained unchanged, it occupied the 7th and 119th places respectively. Belarus recorded the best results with respect to “Registering property” and “Enforcing contracts” indicators, by occupying the 3rd and 7th places respectively. It was ranked the 145th in terms of “Trading across borders”, which means that the country has still much to do for improvement of international trade conditions. Russia was ranked the 156th in terms of “Dealing with construction permits” indicator, which was the worst of all ten indicators. This evidences that during coming years significant reforms should be implemented in order to improve the country's position in the ranking scale. In terms of “Registering property” indicator Russia occupied the 12th place, having improved its position by 5 places as compared to the last year. In terms of “Enforcing contracts” indicator Russia lost 4 places and was ranked the 14th (see Table 2). Thus among EAEU member-states leading positions are occupied by Armenia, Belarus and Russia, however all countries still have significant work to do for improvement of their performance. These changes are conditioned by the factors affecting business environment, including internal and external factors, which in their turn are classified into microenvironment and macroenvironment (see Figure 1). Change in behavior of each of these factors directly influences business environment, and their improvement of the latter leads to economic growth. The influence of tax system on business environment is conditioned by the direct impact environment, with its clause of applicable laws and state authorities. In our opinion, as much directive and rigid instruments are applied in tax system, the higher becomes the level of state regulation in the economy and business. The Republic of Armenia faces many problems which hinder the development of business environment. Among them problems related to paying taxes, trading across borders, getting credits, enforcing contracts and protecting investors can be emphasized, which are also conditioned by corruption risks, shadow economy, high rate of unemployment, disproportionate allocation of revenue, tax administration and political position, unequal competitive conditions and other factors. For example, we believe that since 2004 institutional reforms have been implemented in the Republic of Armenia, which can be assessed as positive and successful. According to the World Bank and International Finance Corporation report, in Armenia in 2012-2015 the procedure of payment of taxes was simplified as a result of introduction of a unified income tax, which includes social payments of employers and employees and income tax paid by individuals. Indicators of the Republic of Armenia in “Doing Business” reports 2007-2015 are presented in the form of table. In the Republic of Armenia procedures of starting a business, registering property, paying taxes, dealing with construction permits, getting credits, trading across borders, protecting investors and enforcing contracts have influence on business environment. In 2007-2015 paying taxes, getting credits and trading across borders had more significant influence on the results of "Doing Business" report . For the analysis of interrelation of tax system and business environment in the RA, main economic sectors based on to their average annual growth in 2012-2015 should be analyzed. Let us analyze individual sectors of the RA economy and substantiate the impact the tax system has on these sectors. Agriculture: In 2012-2015 the annual average growth of agricultural sector made 8.92 percent (see Table 3). In this area, since 1991 a privileged tax regime has been applied, particularly taxpayers involved in agricultural production shall be exempt from the profit tax in the part of the income derived from the sales of agricultural production by them, as well as income derived from the sales of fixed and other assets, and in the amount of other income, if the latter does not exceed ten percent of gross income . However, this privilege has not contributed to the development of this sector, due to existence of various infrastructural problems and risks. Mining: In regard to mining industry it can be stated that its average annual growth in 2012-2015 was 16.11 percent, being the largest rate observed in the sectors under review, which is caused by the increase of exports in this sector. This is due to the fact that in 2015 tax privileges were set for the RA entrepreneurs engaged in export activities, particularly in the light of accession to the EAEU. Profit tax privilege is applicable, according to which 2 percent rate of profit tax shall applied instead of 20 percent, if the annual export amounts to AMD 40 billion and more. This is applicable only for mining industry. Manufacturing industry: The average annual growth of manufacturing industry in 2012-2015 was 3.10 percent. No tax privilege has been applied in this sector; the growth is caused by strong demand in the sector and export. Construction։ The average annual growth rate in construction sector in 2012-2015 was decreased and made -5.02 percent and no tax privilege has been applied. This decline was due to decrease in demand, reduction of population income and other factors. Wholesale and retail trade։ In this sector the average annual growth was -1.14 percent. It is due to amendments made to the tax laws regulating this sector, particularly from 2013 the RA Law On Turnover Tax is effective, together with the compulsory documentation requirement in relation to electronic accounting of armenification sales of cash register receipts and goods labels. As a result of analysis of the main sectors of the RA economy it can stated that a variety of factors affect their development. As shown in Table 4, the levels of tax burden in EAEU member-states and regional countries are different . For example, in 2008-2015 tax burden in the RA was fallen sharply, by going down to 20.9 percent in 2015 from 38.8 percent recorded in 2008. The level of tax burden in 2008-2015 was quite high, particularly in 2008 tax burden was 51.2 percent, while in 2015 it made up 48.9 percent. Positive changes were observed also in Georgia, particularly in 2008, tax burden of Georgia stood at 38.6 percent and at 16.4 percent - in 2015. Thus, it follows that the lower is the level of tax burden, the higher is the level of investment activity. Consequently, the increase of tax burden undermines the ordinary performance of economy, and in the sectors presented the preconditions for the emergence of shadow economy are observed. In this regard for development of the RA economy, we suggest revising the strategy of development of the RA economy and provide tax privileges to the companies that are of strategic importance and for the development of those sectors that affect economic development and increase of export. As a result, the preconditions for economic development, sustainable economic development, raising living standards may be shaped in the country. Among such sectors the manufacturing and mining industries, development of agriculture, especially in the sphere of food production, may be considered. The latter can subsequently provide guarantees for substitution of import of those goods, which can be produced in Armenia, for example, agricultural products. Thus, the Republic of Armenia, being the member-state of EAEU shall accept the so-called “rules of economic game” of the integrative union, by harmonizing the tax, customs, labor and other laws. This process will allow creating in the future equal conditions in the EAEU member-states for free movement of capital, human resources and business. In other words, harmonization of economic and legal laws must be consistent with the current economic developments, aimed at simplifying the procedures applied and reducing alternative costs for business. In the RA tax system there still exist shortcomings, gaps and even corruption risks, although in 2013 transition was made to the electronic reporting system. There are still unresolved issues related to the directive management of tax instruments, therefore it is proposed to justify the link between the tax system and business environment in a structured way (see Figure 2). the unrestrained tax pressure generates “new, distorted culture”, such as the habit of avoiding tax payments, shadow economy, unequal conditions of competition and formation of monopolies. It can be affirmed that the most important precondition for the development of the RA economy is the improvement of business and investment environment the achievement of which requires creation of a simple, transparent and cost effective environment of state regulation of entrepreneurial activities, services and administrative procedures, ensuring equal conditions of competition, developed market infrastructure supporting business, as well as implementation balanced tax and customs policy. At the same time, in the reality, the guarantee of development of a favorable business environment is the growth of profit at the expense of cost reduction policies. Moreover, costs of each company are primarily dependent on tax payments, and therefore, endeavors to reduce such costs promote the companies’ initiative of “independent” introduction of reasonable system of tax planning and optimization of taxation. Conclusion. The development of the RA economy and business environment is conditioned by various factors, and one of the affecting factors, i.e. tax system has led to the development of individual sectors, such as mining industry, and on the contrary the application of tax privileges has not always contributed to the development of the economy sectors, for example of agriculture. It can be stated that in the event the changes undertaken in tax system are aimed at improving business environment, the elements of tax policy, such as collection and management of tax revenue, increase of taxation efficiency, improvement of tax administration, optimization of tax burden per economic entities and application of tax instruments lead to the growth of business activity in the RA. Alm, J. & Torgler, B. (2011) “Do Ethics Matter? Tax Compliance and Morality. Journal of Business Ethics”, 101 (4), pp. 635-651. doi:10.1007/s10551-011-0761-9. Anastasios G. Karantounias (2013) “Managing pessimistic expectations and fiscal policy”//Research Department, Federal Reserve Bank of Atlanta// Theoretical Economics 8, 193–231.1555-7561/20130193. Baele, Lieven, Soriano, Pilar (2010): The determinants of increasing equity market comovement: economic or financial integration?. In: Review of World Economics 146 3, pp. 573-589. DOI: http://dx.doi.org/10.1007/ s10290-010-0060. Bergman, M. (2002). “Who Pays for Social Policy? A Study on Taxes and Trust”, Journal of Social Policy, 31 (2), pp. 289-305. DOI: 10.1017/S0047279401006614. Kanji I., Nazneen. II. (2009). “Nongovernmental Organisations and Develpoment”, First published 2009 by Routledge, 270 Madison Avenue, New York, NY 10016 ISBN 13: 978-0-415-45429-2 (hbk). Kim, Dong Heon, (2012). “What is an oil shock? Panel data evidence // Empirical” – № 43 (1). – pp. 121-143. DOI: 10.1080/10286632.2013.877456. Michailova, S., & Worm, V. (2003). “Personal networking in Russia and China: Blat and guanxi”. European Management Journal, 21(4), 509–519 doi:10.1016/S0263-2373(03)00077-X. Minnick, K., & Noga, T. (2010). “Do corporate governance characteristics influence tax management’’? Journal of Corporate, Finance, 16(5), 703–718. DOI: 10.1016/j.jcorpfin.2010.08.005. Sloman John (2007) “Economics and the business environment / Financial Times Prentice Hall, 2007. — 461 p. in color. — 2nd ed. — ISBN: 0273710370, 9781408212042, 9780273710370. Vogel Lukas, Roeger Werner, Herz, Bernhard (2013) “The Performance of Simple Fiscal Policy Rules in Monetary Union” / Open Economies Review.-.-№24(1), Sl.-pp. 165-196.DOI 10.1007/s11079-012-9258-0. Stephanie Schmitt-Grohé, Martín Uribe White, H. A. (1980), “Heteroskedasticity-Consistent Covariance Matrix Estimator and a Direct Test for Heteroskedasticity”Vol. 48, No. 4 (May, 1980), pp. 817-838 DOI: 10.2307/1912934. Багаудиновна Т. М., Дедушева Л. А. (2015) “Инновационный подход экономического развития Российской Федерации на современном этапе” / Том 7, №2, Интернет-журнал «Науковедение» ISSN 2223-5167 http://naukovedenie.ru/ DOI: 10.15862/95EVN215 (http://dx.doi.org/10.15862/95EVN215. Международный банк реконструкции и развития / Всемирный банк, “Доклад о мировом развитии: Социальная справедливость и развитие” (2006), Washington, DC 20433 с 9-11. ISBN.13: 978-0-8213-6417-8. Мельников В.Д. (2001) Финансы: учебник для вузов / В. Д. Мельников, К. К. Ильясов. - Алматы : [б. и.]. - 512 с. - ISBN 9965441204. Фаэй Л., Рэнделл Р. Курс МВА по стратегическому менеджменту / Перевод с англ. под ред. В. Осипова. М.։ Альпина Бизнес Букс, - 2004. – С. 596. ISBN 978-5-96-14-2401-0. RA Perspective Development Strategic Programme for 2014-2025, the RA Government decree No: 442-N, dated 27 March 2014. RA Law on Profit Tax, article 36, the RA official bulletin 1997.12.03/27.